Metal or composite can packaging for a variety of products such as hot chocolate, flour, seeds. A Composite Can is also sometimes called a Combi container. Composite cans are composed of a body, a bottom closure, and a top closure. There are four main structures in the body of a Composite Can: the aluminum inner web, multipole intermediate webs, and the label web, and the membrane. The membrane and tear off tabs are made of metals (usually aluminum). There are two main kinds of Composite Cans: Spiral Wound Cans & Linear Draw Cans. Spiral Wound Cans are made by diagonally winding and gluing four layers of material together. The bottom layer is usually tin or foil, the two middle layers are usually paper board, and they serve to give the can its structure. Closures for Composite Cans come in different forms including aluminum-membranes with tear tab, paper membranes with or without aluminum coating, paper board ends, and paper board shakers among others. These closures can be made from aluminum foil, paper, paper with or without coating. Other closure options are available depending on the company and request of the customer. The outermost layer is sometimes optional depending on if the customer will like a label added to the can itself-this typically increases the cost of production. Linear Draw cans are made by drawing the materials through the gluing process and then through the tooling process. After the tube is made, it is the cut into separate cans. These kinds of cans are made in one single process. Composite Cans can be used mainly for packaging everyday household items like coffee whiteners, diet drinks, bread crumbs, hot chocolate mixes, nuts, cakes, spices, tea, cleaning gels and baking sodas among others. Composite Cans offer several advantages such as cost-effectiveness, environmental safety (composite cans are mostly made from recycled products), durability, versatility and user friendliness in general. Tin cans are ideal for packaging food products. The food is preserved, long-life (air tight packaging) and fresh. The nutritive value remains. Tin cans are also easy to transport, also across longer distances. 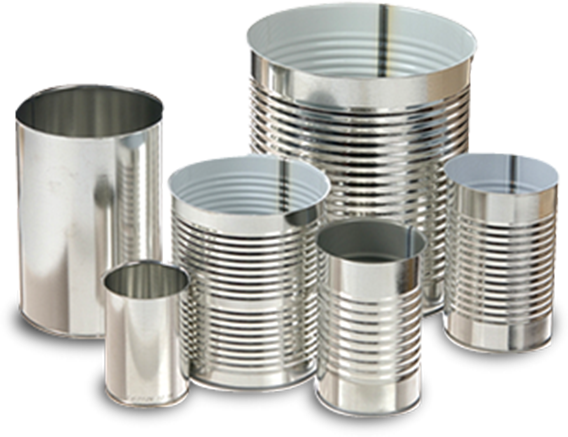 Our tin can packaging meet the demands for food safety and are extremely suitable for high speed filling.